Brahmos supersonic missiles, jointly developed by India and Russia. The Vietnam People's Navy (VPN) will soon be steaming into the South China Sea armed with the world's fastest cruise missile. Jointly developed by India’s Defence Research & Development Organisation and Russia’s NPO Mashinostroyeniye, the stealthy Brahmos uses ramjet engine technology to achieve speeds of up to 3000 kph, making it a deadly addition to Vietnam's arsenal. Janes Defence Weekly reports that negotiations with Hanoi to supply the Brahmos are at an advanced stage, with Indian Defence Minister Manohar Parrikar discussing the sale with his Vietnamese counterpart General Ngo Xuan Lich. The talks in Hanoi this month included the option of stationing a team of Indian technicians in the Southeast Asian country to offer the Vietnamese assistance in using the system. The transfer of the Brahmos missiles could take place shortly. The missile is built in India by Brahmos Aerospace, using Russian and Indian parts. The 3.2 ton missile has a range of 290 km and a 300 kg warhead. Its most striking feature is its blistering speed, which combined with its sea skimming capability makes it harder to intercept. If at all enemy warships are able to detect the missile, they will see only when it appear on the horizon at a distance of 26 km, giving them just 28 seconds to take evasive action – or say their prayers. The VPN can now send cheap missile boats armed with the Indo-Russian weapon and take out much larger or strategic Chinese targets. China’s coastal areas, including the heavily industrialised Guandong region are target-rich and can be targeted by BrahMos-armed missile boats without travelling too far from home bases. Former Brahmos Aerospace CEO, A. Sivathanu Pillai, told Defenseworld that the high speed of the missile combined with its comparatively heavier weight makes it about 15 times more lethal than a conventional anti-ship missile. “Any other anti-ship missile will only leave a hole in the hull of the attacked ship, but the Brahmos missile will completely obliterate the target. In the anti-ship missile tests done in India, the target ship was completely blown to pieces,” he said. Is the U.S. behind Japan's reluctance to sign a peace treaty with Russia? James Holmes, an associate professor of strategy at the US Naval War College, explainsthe dynamics of destruction caused by the Brahmos. “Helter-skelter speed compresses the time air defenders have to respond — and time is the critical determinant in the ‘detect-to-engage’ sequence,” he says. Its speed and nearly 300 km range means Vietnam's opponents may not be able to land the first blow in combat. They may have to take a pounding for some time before hitting back. 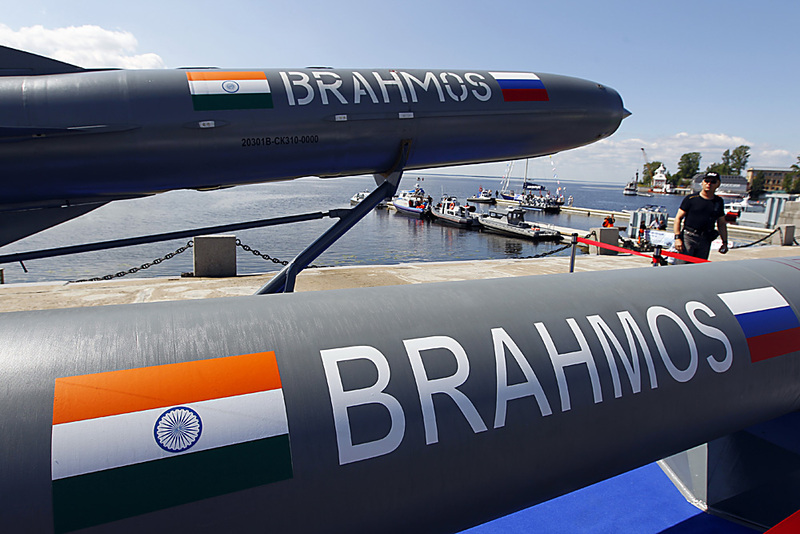 Strategy Pagereports Russia and India are encouraged enough to invest in Brahmos 2, which will use a scramjet, instead of a ramjet, in the second stage. This would double the speed and make the missile much more difficult to defend against. What about the quality of the Brahmos? According to the US Navy’s Holmes, any weapon is like a “black box” until it’s used in combat against real, thinking adversaries with the capacity to deploy countermeasures or strike back at the launch platform. So until the missile is fired in anger, one wouldn’t know how effective it is. He however adds: “If nothing else, Russian involvement in the program should give us pause. Westerners have long ridiculed Soviet-built hardware, but the Soviet Navy was asymmetric before asymmetric warfare was cool. Soviet weapons scientists and engineers displayed impressive ingenuity, fielding an imposing array of anti-ship missiles. Some remain in service today, bedeviling prospective opponents. Given China’s overtures in the South China Sea, Brahmos more or less guarantees Vietnam’s security.